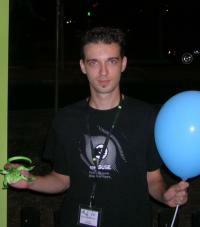 I am Theo Chatzimichos (tampakrap), long time openSUSE contributor, mainly on the maintenance and automation of the infrastructure, as member of the openSUSE Heroes team (but also in other areas, such as packaging, documentation translation and conference organizing). At my YouTube Channel you can find my presentations at various FOSS conferences, including the oSC. This page was last modified on 18 February 2018, at 12:35.